We’ve put together a list of unusual accommodation in South Africa, because like us, you want your stay to be an experience. Cast your eye over this list of unusual accommodation in South Africa, and go adventure! The Garden Route has some particularly unique viewpoints, but none to equal this wooden cabin, perched high in amongst the milkwoods of Ballots Bay hillside. 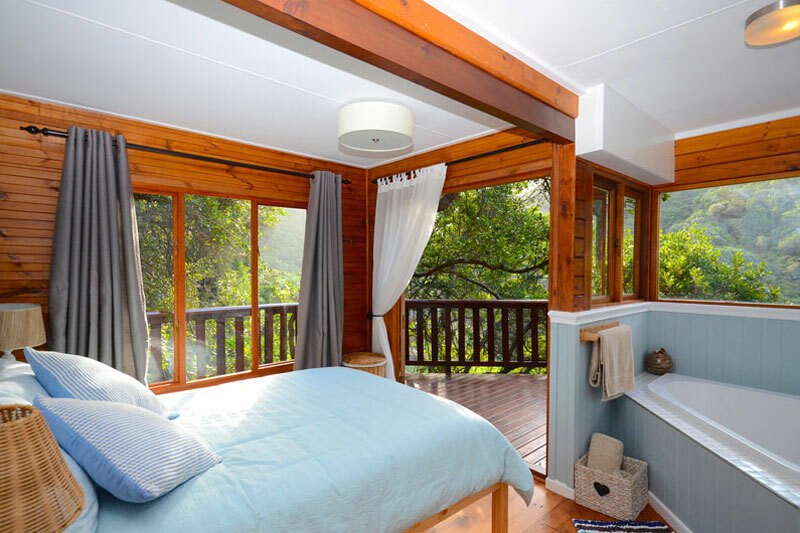 When you stay at Ballots Tree House you have your own set of steps down to a pebble beach, and you’re directly in amongst the fynbos in this secluded and beautifully decorated ‘cabin’ with its own deck and views of the ocean and the river. Wait until you see the corner bath. 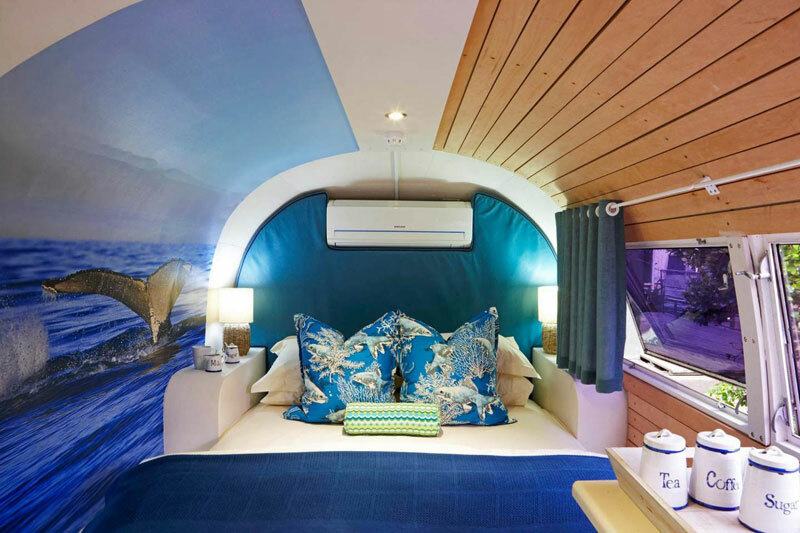 There’s nothing quite as playful as the Rooftop Airstream Trailer Park at the Grand Daddy Hotel on Long Street in Cape Town. Think of them as a penthouse stay, because the views from up here are incredible. Besides which, the creativity that’s gone into a series of themed and individually decorated trailers is worth at least one night’s stay, wouldn’t you say? Thonga Beach Lodge lies in amongst the coastal forests and lakes of the Isimangaliso World Heritage Park with access to its sandy beaches. 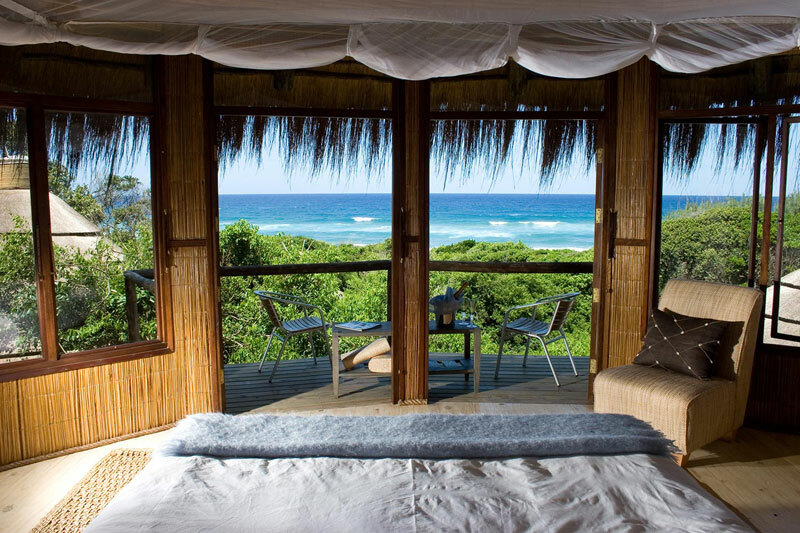 The thatched luxury suites on wooden stilts, based on the local Thonga fishing villages, lies just above the beach in amongst coastal milkwood trees. Why wouldn’t you? What was once a police station and prison is now a boutique guest house in Willowmore, just outside the Baviaanskloof of the Eastern Cape. Landscaped gardens, an art gallery, and individually decorated and converted ‘cells’ – now air conditioned rooms, high ceilings, original features, period furniture and private courtyards – make for an exciting stay at The Old Jail, just off the N9. Two of the options are self-catering, set in the old stables. This guesthouse might be called ‘Bamboo’ but it could just as easily be called forest-walk for at your disposal is a jungle garden of note. 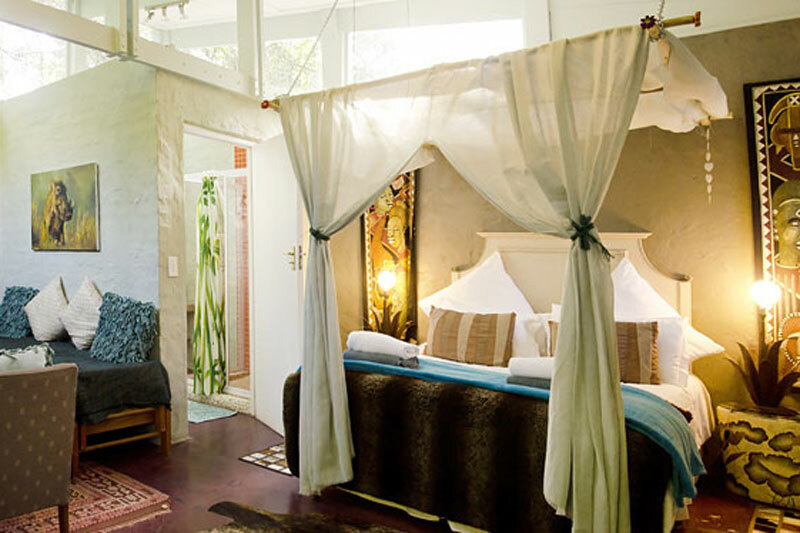 The en suite rooms are all connected and accessed along wooden walkways through the gardens, whilst the rooms are decorated with an idiosyncratic flair. 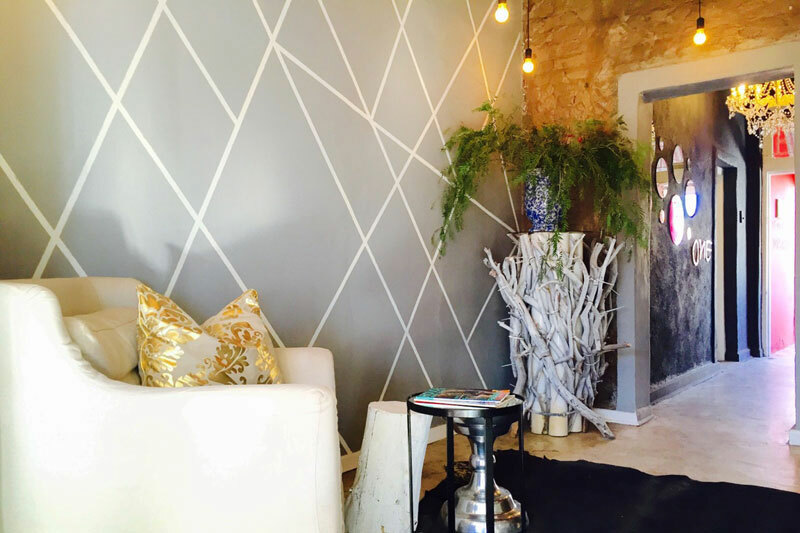 Look out for the mosaic fireplace! If you had to describe the middle of nowhere (die middel van nêrens, in Afrikaans) then De Aar would probably be it. Take a pencil and drop it in the middle of the country’s map and I’m prepared to bet you’d be in, if not really close to, De Aar. Typically, you’re unlikely to include it in your itinerary. 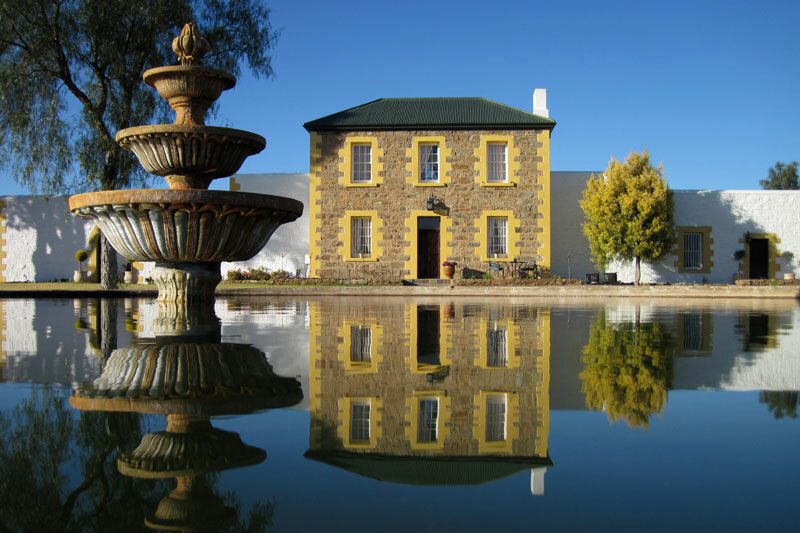 And yet, in the middle of town, on Visser Street (not all that difficult to find), you’ll reach a rather adventurously decorated guest house – Boutique Guest House De Aar – in a classic, historical Karoo huisie. Elsa Cornelissen’s art house is full of art, most of it hers (some of it is for sale), but it isn’t all on her walls. 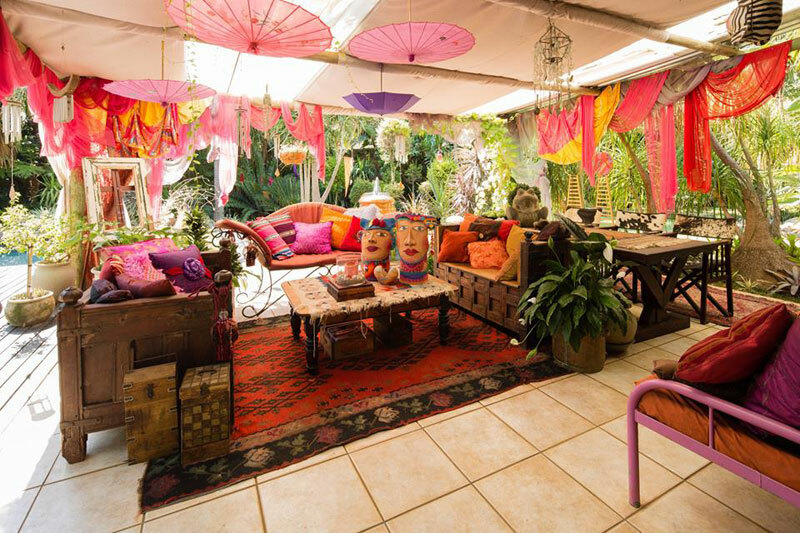 When you stay at The Art House, walk through her sculptured garden and her ‘shangrila’-style accommodation in Hartbeespoort Dam to really get a feel for things. Utopia? Well, close enough for you to escape from it all for a weekend or so, and respond to an environment made beautiful by someone with an eye for aesthetic appeal and grace. This Italian-style manor is not inappropriately called Castello di Monte. 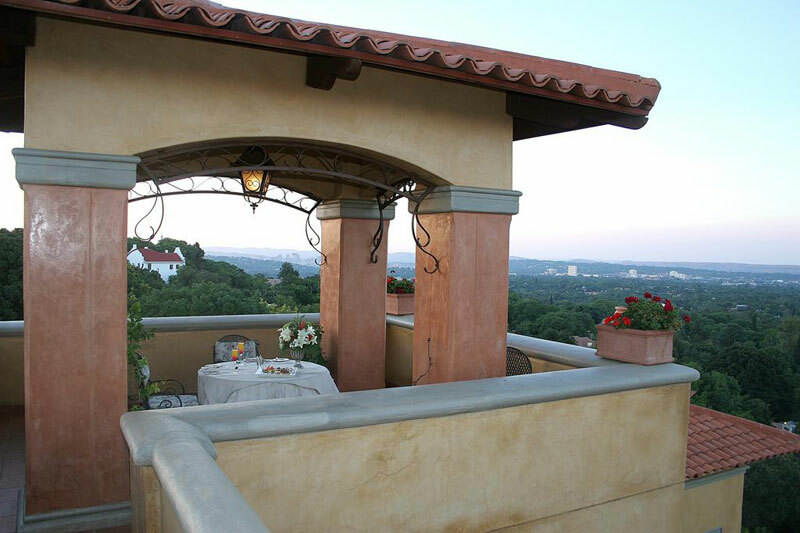 Set on the ridge of Waterkloof, in Pretoria, it can only be described as palatial, and its en suite accommodation as opulent. Yet the opulence is understated and elegant with hand-painted murals, four-poster beds and a garden beautifully laid out with lavender bushes and olive and lemon trees, to complete the sixteenth century theme.